I promise to stay. I promise I’ll always be the friend you need. Friends support each other. Always. No matter how things are or how bad it is in your friends life, you stay. Because that’s what a real friend does. Stays. Always. Enjoy this brand new friendship quote from us here at lovablequote.com and make sure you share this with someone that can count on you to be there as a friend! This is lovablequote.com – we create original quotes that you can share with your boyfriend or girlfriend! Enjoy all our nice quotes about love, relationships and happiness! 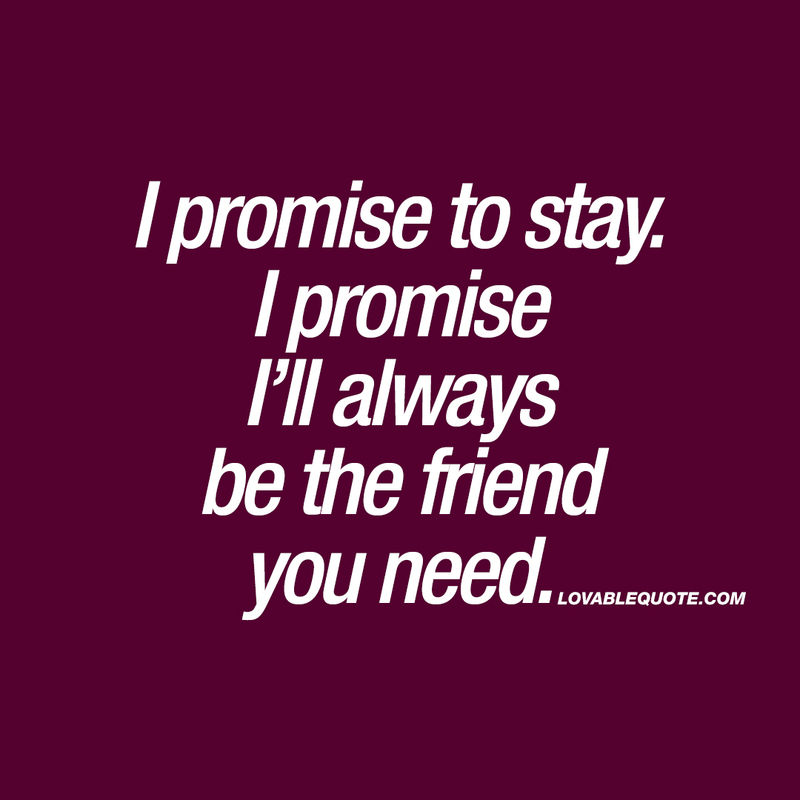 This friendship “I promise to stay” quote (text and image) is copyright © Lovable Quote 2017.